The Crux Expedition Award is an exciting opportunity for today’s young climbers to win £500 in cash and £2000 worth of Crux equipment for use on an outstanding mountaineering objective. 1. Your proposed objective must be adventurous. Ideally it will be in a remote location and involve an element of exploration. It does not necessarily have to be a first ascent, however; it could be a first winter ascent, or an alpine style ascent, or just visiting a remote location of which you have no previous experience. 2. Your expedition must have a specific objective. 3. The expedition must not carry bolts or use fixed ropes (although capsule style is acceptable). 4. The objective must be difficult for you. The level of difficulty does not need to be at the cutting edge. 5. The members of the team must be predominately under 30. Please provide details of your relevant experiences. 6. 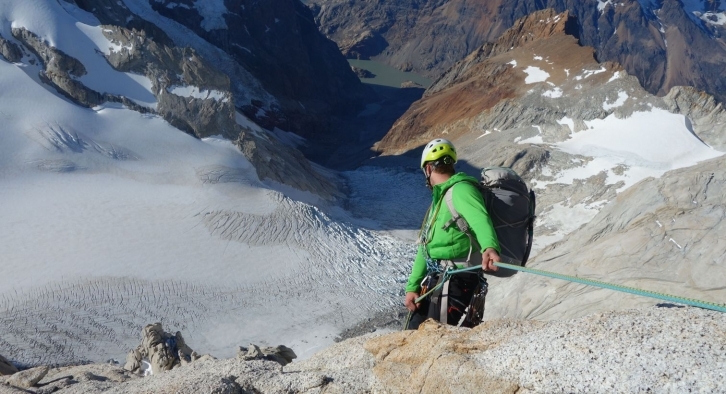 There is no limit on the number of members, but we look more favourably on smaller teams climbing in alpine style. 7. The members must be predominately British or Commonwealth citizens. 8. The award cannot be granted retrospectively. 9. The expedition cannot be commercial. 10. You must supply photographs and/or Google Earth images of your proposed objective. 11. Please include an intended schedule/itinerary. 1. Acknowledge crux in all media relating to the winning expedition. 2. Supply crux with a short essay and/or film about the trip upon return. 3. Supply crux with high-resolution photographs of the expedition for free use by crux for marketing purposes.